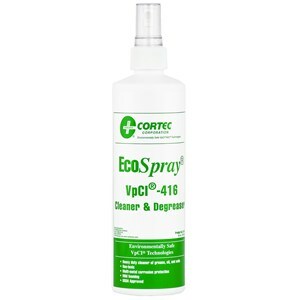 Cortec ECOSpray 416 Cleaner/Degreaser is a non-toxic liquid that removes heavy hydrocarbons, grease and machinery oils. Fast cleaning, removes oil and grease, prevents corrosion. Biodegradable. 16 fl. oz. pump spray.